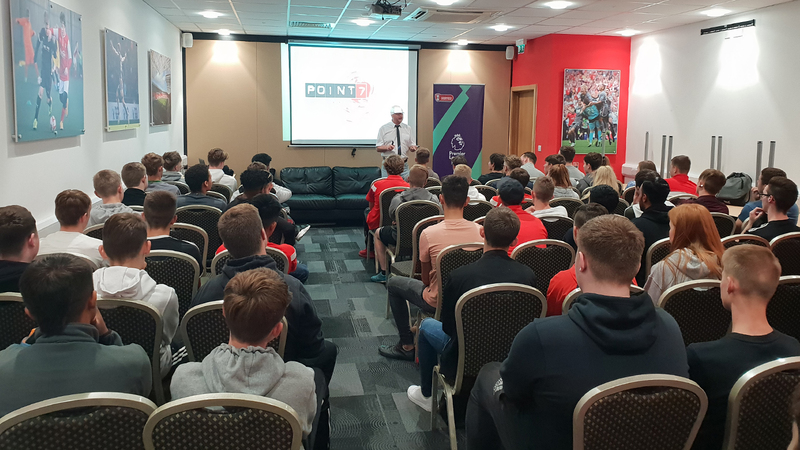 Rotherham United Community Sports Trust (RUCST) has gained funding from Home Office to deliver the Chris Cave Foundations POINT7 programme. ‘Cut It Out’ is a much-needed programme that aims to discourage young people in the town from carrying knives by a series of workshops, events and graffiti art that will educate, prevent and enforce the consequences of carrying or using a knife. The action follows growing concern amongst organisations that the number of young people routinely carrying and using knives in the town has grown in the last year. We will be working with schools across the Rotherham in an attempt to create anti-knife crime advocates across the borough. RUCST will deliver eight knife crime awareness workshops to two-hundred and fifty young people delivered by Chris Cave Foundation POINT7 programme across six areas identified by police data. Two further workshops will be delivered to young people on RUCST sport education programmes at Goal Zone Academy at New York Stadium. Young people will visit the local police station and talk to officers about knife crime to increase their understanding of crime and consequences, they will then work with local artist, Phil Padfield to produce a public art display utilising their learning from the workshops. RUCST will then organise a football tournament to reinforce the message that carrying knife is a criminal offence during knife crime awareness week in February 2019. Participants will then share their learning at a dissemination event in the presence of a number of schools to spread the message. Thursday 13th September 2018 witnessed the launch of the ‘Cut It Out’ Project, which had sixty young people in attendance from the RUCST education programme. They received an impactful and informative workshop delivered by Alan Hancock. Councillor Lindsay Pitchley also kindly spoke about the issues young people are facing around knife crime and how important it is to stay cautious and to not make the mistake of carrying a knife. 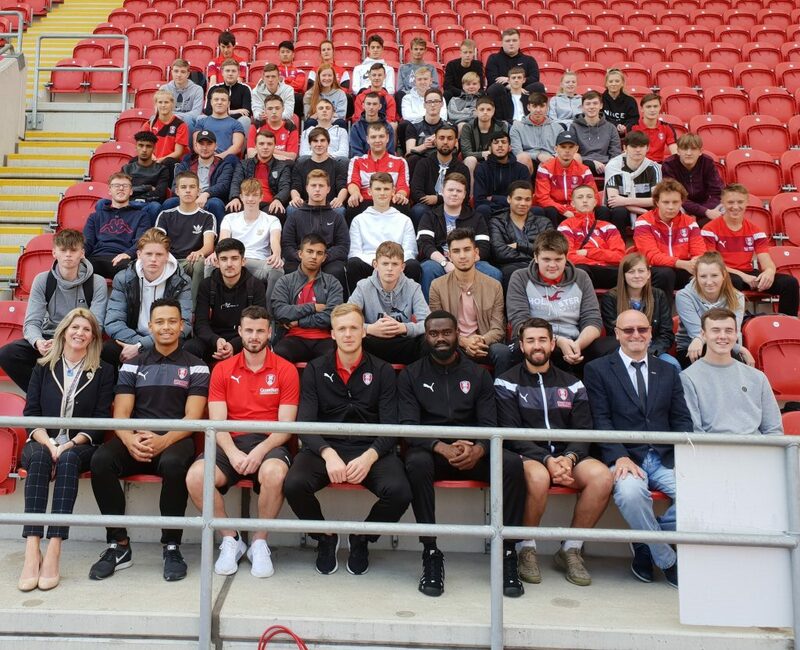 The event then rounded off with an appearance from Rotherham United Footballers; Antony Ford and Emmanuel Onaraise, advocates of the project.